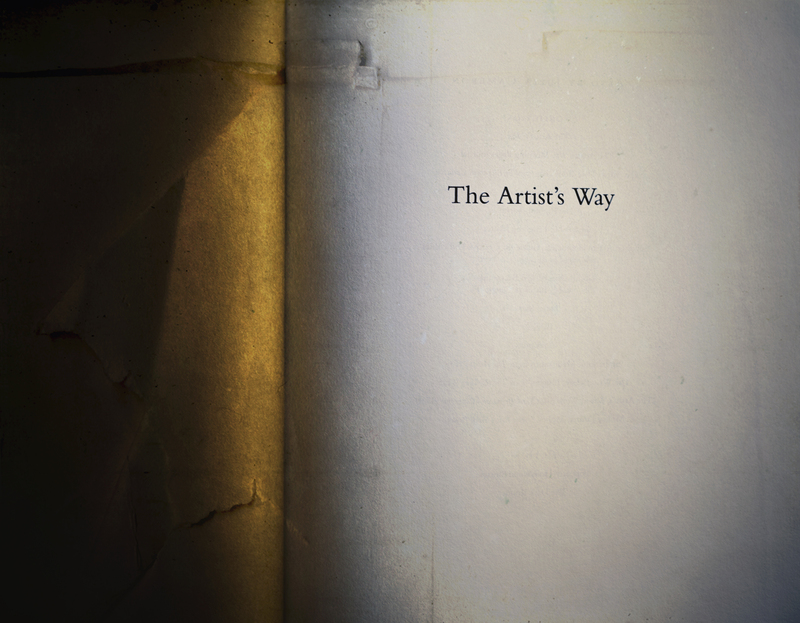 Over the summer, I read Julia Cameron’s The Artist’s Way. One of my professors recommended this book, but it took me a year to get around to reading it because I was never much into self-help books, especially ones pertaining to art. Until this summer, I preferred to fester in my own artistic issues/creative block, thank you much. While reading the first paragraphs of the Introduction, I could not believe I had not read this book sooner. What this book is: simply put, it’s a guidebook for overcoming creative block. Honestly, though, it’s so much more than that! I think the way in which you use this book depends entirely on you – where you are as an artist, and just how badly your creativity is blocked. Cameron asserts that the exercises are most effective if you use it weekly, over a three month period. Personally, I found that Cameron’s observations alone made this book totally worth the read. Cameron offers sound advice on how to overcome creative block, gain self-confidence as an artist, avoid self-sabotage, and how to tune out the naysayers who do not take you, or your work, seriously. Another aspect of this book that I loved is how Cameron reassures us that we are all artists, and just because you are not a card-carrying “professional” artist (be it photographer, painter, etc.) does not make you any less of an artist than someone who makes their living from their art. She places a lot of value on any individual who has a desire to create, to make, and I really appreciated that sentiment. She gives great pep talks, and we all know that photographers need pep talks every now and then. So, now that it is time for our Holiday Giveaways here at Mortal Muses, I really wanted to give away a copy of this book, in the hope that it will be as helpful to you as it has been to me (I know it will)! I will be giving away one copy of this book, so leave a comment on this post to win! One comment per person, please. Great book recommendation! Thank you. I murmured to my husband today, ‘I’ve never been so uninspired in my life…’ Whah Whah Whah…later I was stupefied by natures poweress and tried to capture the might and glory of it all…even using two, count them 1…2…, precious polaroids and I felt a flicker of inspiration return. This book might do the trick and crack me back open. So again, thank you for the recommendation! I read this years back and did the Morning pages… Then gave the book away, thinking I didn’t need it. Well, 5 years later I am stuckstuckstuckstuckstuck and NEED it and need to KEEEP IT! I’ve read this book but don’t own a copy. I agree that it’s wonderful if you’re stuck creatively, and I remember the time I read it as pretty magical. I would love to read this book…so, even if I don’t win and some other person is the lucky winner…it is on my after Christmas shopping list!! Cheers and good luck to all. I want that book! Sounds awesome. Sounds like an amazing read!! Thanks for the chance to win. This makes the second time this week that this book has come into my life. It’s hard to shake that creative block. What makes it even hard is when my 15 year old daughter talks about her block and there isn’t really any advice I can give her. I guess it’s time to get this book to inspire us both!! I just gave this starter kit to one of my friends for Christmas and then admit after seeing her open it that I kind of wanted one too 🙂 thank you so much for the opportunity. With the down time devoted to catching up on photography reads and all things related- yeah- this sounds like a perfect addition! Thanks for the opportunity. I actually used to babysit for her daughter, and yet I’ve never brought myself to read the book — similar reservations to yours. I am putting it on my “to read SOON” list. As I sit here at my window, with 6 inches of fresh snow outside—-Why can’t I become inspired to head outside with my camera. The beauty is there, but I can’t figure out what to do with it. Does that mean that I have a creative block? Ohh! I’ve been wanting to read this one but keep forgetting to check it out from the library. Fingers crossed!! Sounds like a great read… and much needed as I’m in a creative rut at the moment. sounds like a must have for artists! Like you, I’ve heard about this book but for some reason haven’t picked it up yet. Reading your review makes me think I must do it soon! i had a boyfriend, a musician who read this book at least 20 years ago, and i am still impacted at how he grew after reading it …and i still haven’t yet read it! i think i would love to, especially embracing my artist-heart a full two decades later! I need a muse. I am in a rut at the moment and the inspiration this book could offer makes a muse more likely. I’ve heard about this book but haven’t read it yet. Looks like I need to add it to my list! Oh, I do love this giveaway! I’m ashamed to admit it, but I haven’t’ read it (yet). This time of year always gets me in a slump, and now I’m a brand new mommy, which is inspiring and exhausting all at once! I’m always up for a creative kick in the pants. So many things on my “to do” list that it just seems overwhelming at times…which leads to nothing getting completed. Inspiration here, please! I can feel that post Christmas slump in creativity already creeping up on me…….oh no! Need some help to start 2014 on the up. I have this book in my wish list. I’d love to win a copy! Definitely sounds like an interesting book! I’ve seen this book for years and always wondered about it….it sounds like just what I need:). Thank you for sharing your thoughts on it! Hope your holidays are wonderful! This book has been in my Amazon wish list for over a year now. Also, so many IG and Flickr friends have included it in a photo or mentioned it as a great read. I think I’d like to start 2014 reading it to help break down some creative walls I’ve encountered throughout the past year… wonderful giveaway. I think as artists, we are constantly evolving and as part of that process, we all get stuck in ruts at times. I would love to read this book… it sounds wonderful. Thank you to MM for doing these giveaways. This sounds like a wonderful book! I read another book of hers but not this one. I would love the chance to read it. Just wanted to recommend this book to everyone, stuck or unstuck. Several years ago, I read this book with a group and it was an amazing growth experience for me. Thanks for the reminder. I plan to start January out with this book in hand.